Get your add-on onboard battery charger factory installed on new units! For Supertow models 3&4. The charger is optimized for AGM-style batteries. The charger is a maintenance charger and may be left plugged in when the tug is not in use. 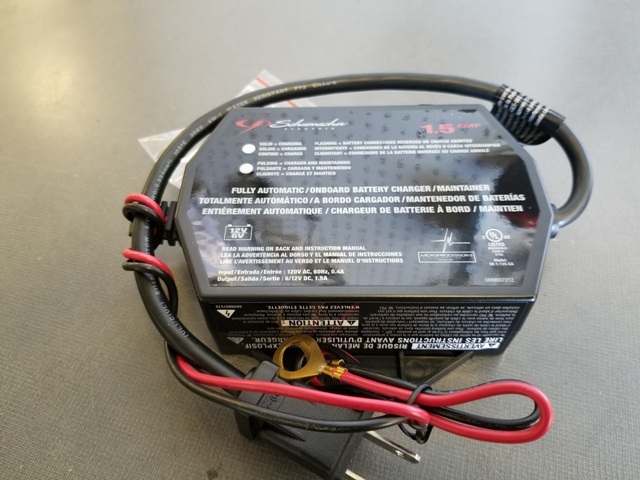 Some users may wish to add a battery charger to their Supertow if they use the tug infrequently and only for short times.